NEW YORK — An upcoming memoir from Sen. John McCain has taken on new meaning since he first decided to write it. The book is expected to begin in 2008, when the Arizona Republican lost to Barack Obama in the presidential election, and will include his “no-holds-barred opinions” on last year’s campaign and on current events in Washington. McCain has been a sharp critic of President Trump, a fellow Republican, and was a key opponent last summer of Republican efforts to repeal and replace the Affordable Care Act. Earlier this week, McCain denounced “half-baked, spurious nationalism cooked up by people who would rather find scapegoats than solve problems,” remarks widely taken as criticism of Trump and allies such as former White House chief strategist Steve Bannon. “Candid, pragmatic, and always fascinating, John McCain holds nothing back in his latest memoir,” according to the publisher. 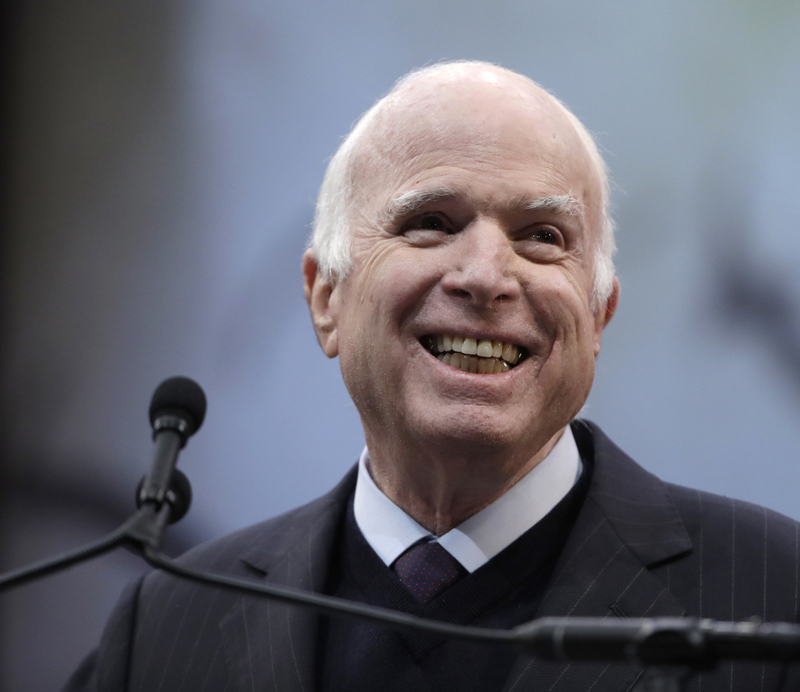 The memoir already has a notable change: The original title was “It’s Always Darkest Before It’s Totally Black,” an expression McCain likes to cite.